People may find this hard to believe but until I was 31 years old, I did not wake up in my own home on Christmas morning. I spent 30 Christmas mornings waking up at my grandparents' house in West Palm Beach. It was an amazing tradition and loved waking up with my cousins and grandparents all together to open presents. Since Santa brought our gifts to West Palm, our immediate family had a tradition where Santa would stop by our house in Vero on the night of the 23rd and fill our stockings. Even as adults in our own homes my parents would have us all come over (and beg us to spend the night) and open stockings together before we left for my grandparents. After opening our stockings we would all sit down together for a breakfast of chocolate chip muffins and chocolate santas. A delicious breakfast but one that may or may not have been lacking in nutritional value. We would always tell ourselves that we would be sitting down to a huge lunch at my grandparents house so we didn't need much. However, as the day went on we would be running late, hit traffic, or arrive to my grandparents to find that there was some kind of crisis with the traditional Christmas play the younger cousins would put on and somehow it would be 2:00 and we wouldn't have eaten lunch. This year I am going to be prepared for a long day with a breakfast that is a little more filling. 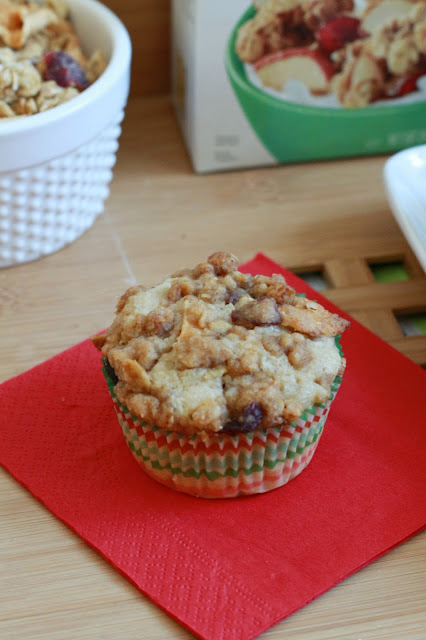 These Cinnamon Muffins with a Quaker® Simply Granola Streusel are the perfect hearty breakfast treat for the holidays. 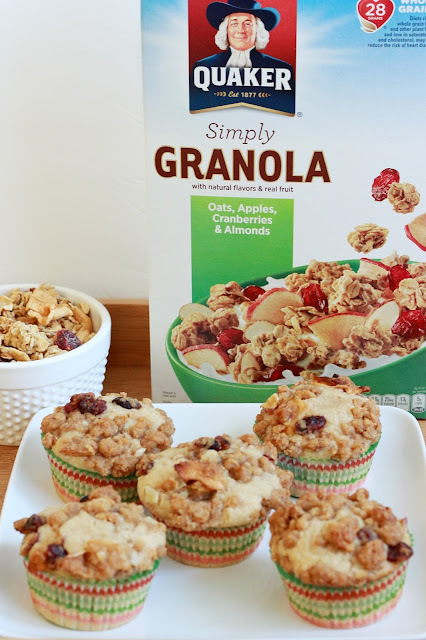 The addition of Quaker® Simply Granola into my favorite cinnamon muffin recipe means that these will last you through morning. 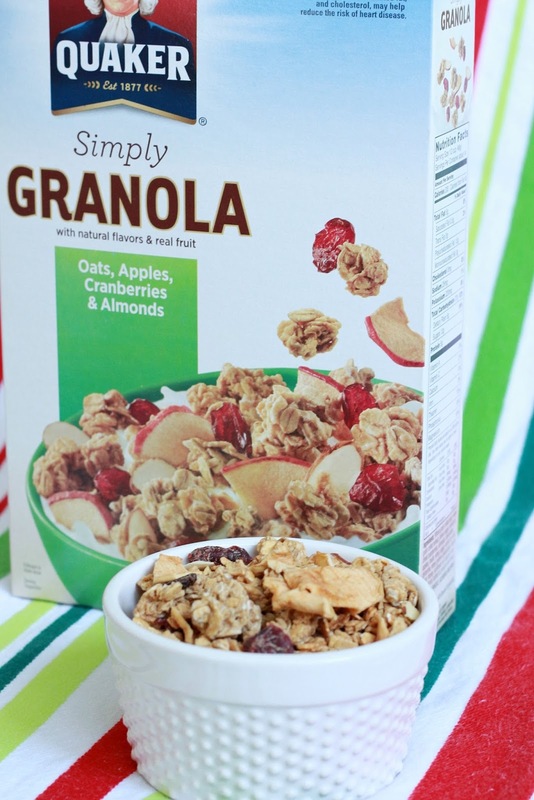 The crunchy granola, dried apples, cranberries and almonds are a perfect way to spice up any holiday recipe. These are best served warm with some butter or jam on the side but they can be reheated too if you want to make them the night before. 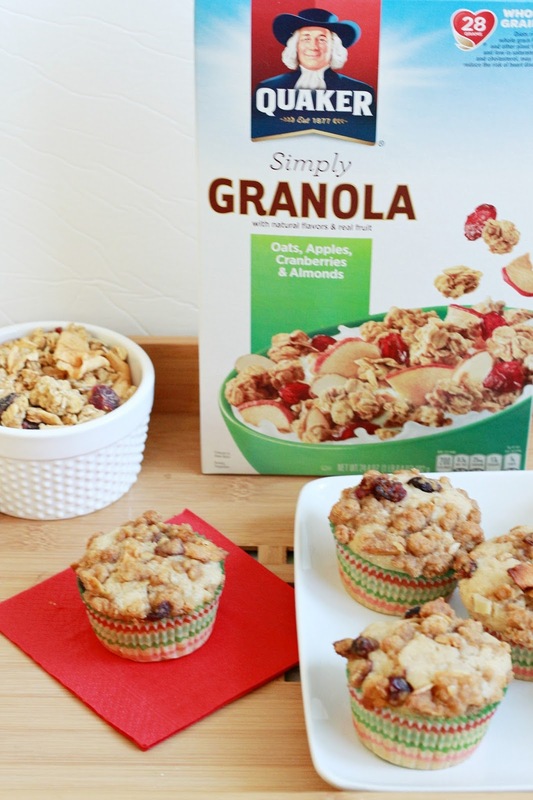 I used Quaker® Simply Granola Oats, Apples, Cranberries & Almonds but any of the other varieties would work great as well. Be sure to check out other flavors like Quaker® Simply Granola Oats, Honey & Almonds and Quaker® Simply Granola Oats, Honey Raisin & Almonds next time you are at Walmart. 1.) Whisk milk, egg and melted butter until well combined. Set aside. 2.) Combine flour, sugar, baking powder, cinnamon and salt in a large mixing bowl. 3.) Stir the wet ingredients into the dry ingredients. Don't over stir. 4.) Line or spray a muffin tin. Using a cookie scoop or a tablespoon spoon one scoop of batter into each muffin cup. Sprinkle in some Quaker® Simply Granola and then top with a second scoop of batter. 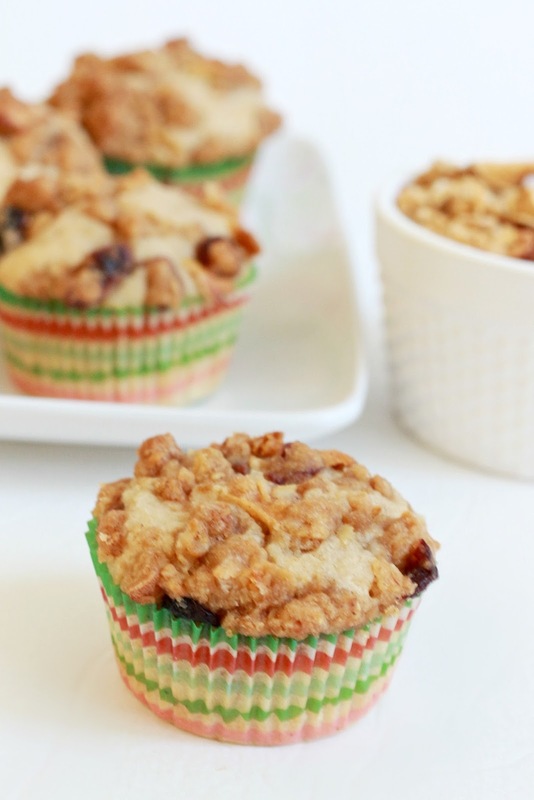 For a richer muffin, you could layer in the streusel mixture instead of the granola. 5.) To make the streusel, simply combine all the ingredients together until the melted butter has moisten everything completely. The mixture should be crumbly. 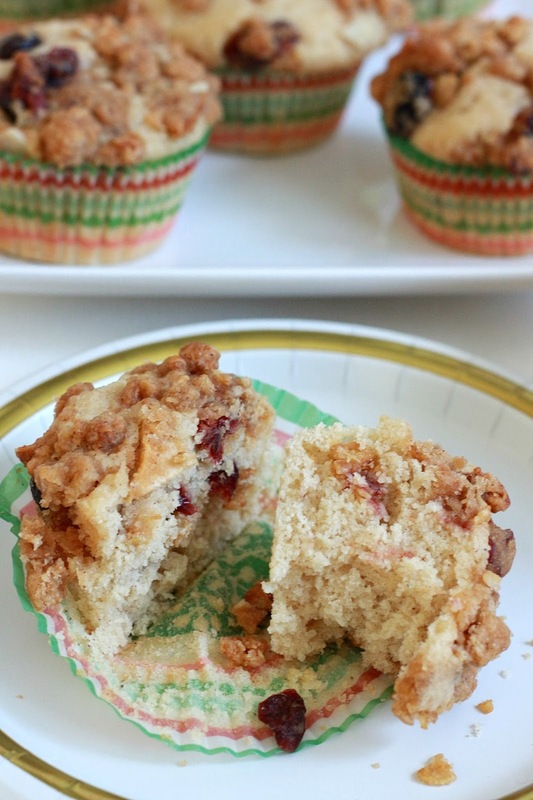 Top each muffin with a generous scoop of the streusel. 6.) 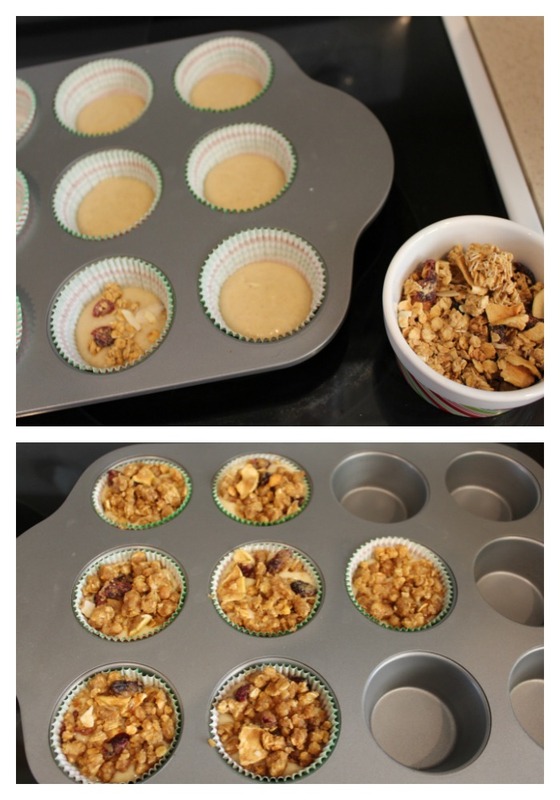 Bake at 350 degrees for 15-20 minutes of until the tops of the muffins feel firm to the touch.